It is important to understand there is more to Aesthetics than just Botox and Fillers. That’s why Empire offers many courses in Aesthetic education and training designed specifically for physicians, dentists, and nurses taught by physicians and top specialists who have been performing these procedures and more in their own practices for more than 10 years. with the Empire Membership you can attend all aesthetic workshops free! Practical Medical CME Training for Aesthetics. Where can a Physician, Dentist, or Nurse receive Botox, Dermal Filler, and all their Aesthetic Training? Empire Medical Training is the largest, most widely recognized leader in Botox and Aesthetics training for the past 20 years with over 100,000 successful graduates. 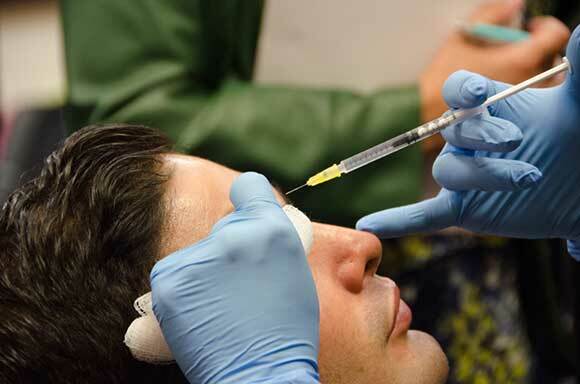 Empire has been training physicians, nurses, and dentists in Botox, and other aesthetic procedures such as Dermal Fillers, Lasers, Sclerotherapy, and much more since 1998. Many start up and competitor companies claim to be the leader in this type of education overnight; however, Empire has successfully graduated more professionals throughout the US and Asia, than any other procedural training academy in the US and abroad. Empire offers over 600 training seminars annually, scheduled every weekend in most cities throughout the USA and North America. To receive your training for aesthetics the right way, it is important to understand there is more to Aesthetics than just Botox and Fillers. That’s why Empire offers over 19 separate courses in Medical Aesthetics Training and education designed specifically for physicians, dentists, and nurses and taught by physicians and top specialists who have been performing these procedures and more in their own practices for more than 10 years. We do not use students as teachers like many other seminar companies. As far as the training for aesthetics itself, Empire is the only seminar education company in the United States who utilizes IPADS and computer tablets, as effective learning aids for their students during the training. This method not only makes the learning experience more enjoyable, but also simplifies the lecture phase since students can ask questions and interact directly with the instructors using the computer aids provided. Instructors can even repeat a topic if necessary based on input received from the computers indicating the students’ level of comprehension. The only effective way to learn a procedure is with live, hands on training. Beware of companies who sell online training courses to learn this material. Empire provides supplementary online training for aesthetics as a benefit for its attendees Free of charge but only provides certification during the live hands on training courses. 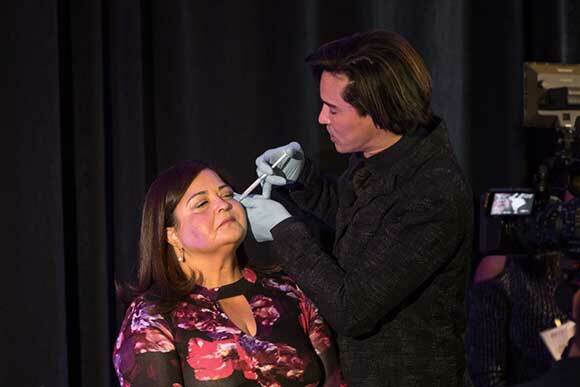 The Botox Training, as well as all the Aesthetic training programs, starts with intensive lecture in the morning followed by hands on training in the afternoon where participants inject actual products such as Botox, Juvederm, Restylane, and many others on live patients. After 21 years of providing this type of education, we have found that the best method to implement hands on training is by enforcing a system that ensures each student has practiced enough techniques that they can pass the completion exam and receive their certification. Our graduates are competent at performing the various techniques and receive their certification. Empire instructors work closely with students during the training to help them learn what they need in order to pass their proficiency examination. We even have the only industry recognized guarantee (Empire-Wow-Hands-On-Guarantee™ that provides students who believe they needed more training with a FREE Preceptorship which is an intensive, one on one training program with our instructor, at our expense. Empire Medical Training remains the #1 source for Botox and Medical Aesthetics training primarily because of our University Style Curriculum with over 35 topics to learn, our cost effective membership model allowing you to attend all programs free as a member, and the highest quality education and training backed by the only industry recognized guarantee, the Empire-Wow-Refund-Policy™ where you receive 100% of your money returned PLUS reimbursement on your travel expenses if you do not believe the training was the best program you have ever attended! Call today for more information and to get register for our next event! Call 866-366-1576. Physician Practitioner shares his experience at the Botox Event. Empire Medical Training "Celebrity" Physician Instructors best in industry! Most Experienced - with over 20+ years training medical professionals (be aware of companies claiming the same) and over 100,000 graduates, Empire Medical Training is the leader in the training for aesthetics. Our distinguished physician faculty with over 10 years wokring with Empire (no students or nurse trainers like other companies utilize), our commitment to your continued medical education needs is important to us with over 600 seminar workshops held annually. Best Quality- IPADs and Computer Tablets used during all Training, Rapid Retain Repeat® method of training, Expert Faculty, with highest credentials, i.e. Yale, John Hopkins (Anne Roberts, MD), Empire-Wow-Refund-Guarantee™ - quality guaranteed or your money back plus your travel expenses too! No other company can match our guarantees, Empire-Wow-Hands-On-Guarantee™ - Free one on one preceptorship guaranteed if more training needed! Complete manuals, training materials, medical intake forms, program starter kits, are all included free, plus much more. Watch hundreds of real Video Testimonials from Empire on Youtube, or on our About Us link above. Best Value- We remain the only training institution to offer comprehensive training for aesthetics with over 35 different Aesthetic, Medical, Surgical and Business topics and in more cities and venues than anyone else. Our membership model allows you to attend all 34 courses FREE OF CHARGE, that means access to over 600 seminar workshops offered every weekend throughout the USA, unmatched in the industry! This is a must for any Aesthetic Practice, particularly newer practices just starting out. Empire Medical Training has developed this comprehensive Aesthetic Kit after training physicians for over 21 years, working with start-up practices, and consulting with established practices in Aesthetics. After 20+ years in business, Empire remains the only medical, educational institution to offer a “Membership Plan” as an effective method to acquire CME Certification, learn new procedures, have “Complementary Access” to over 35 Live Workshops, and network with other physicians, manufactures, vendors, and thought leaders in the industry. 21+ years educating medical professionals. (Beware of companies claiming the same.) Over 100,000 successful graduates. Faculty with over 10 years with Empire. No students or nurses as trainers like other companies. Over 600 seminar workshops held annually. The American Academy of Procedural Medicine offers Board Certification Pathways for Physicians in Aesthetics, Medicine, Surgery, and Pain. Call today to find out how to get your Certification Plaque FREE.